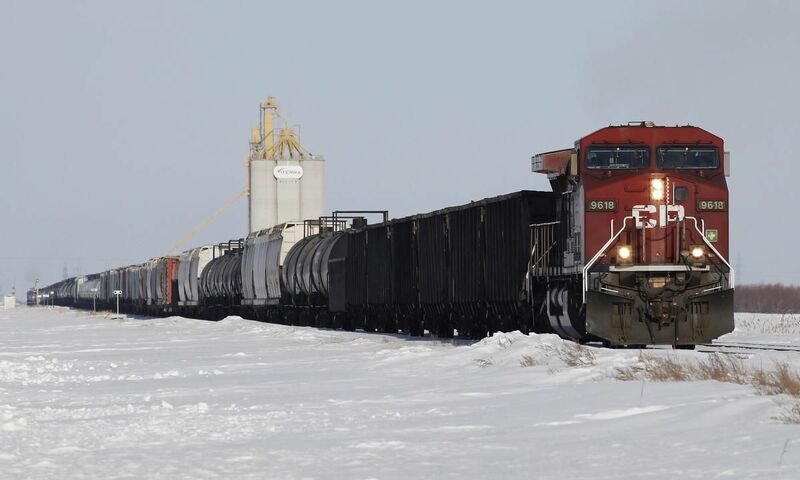 Despite high crop yields in Western Canada, Canadian National Railway Co. shipped 24 million metric tonnes of grain in the 2017-18 crop year, four per cent less than the previous year, due in part to a frigid Prairie winter. Rival Canadian Pacific Railway Ltd., meanwhile, nudged up its numbers one per cent year over year, shipping nearly 26 million metric tonnes of grain, grain products and soybeans out of the Prairies for the crop year that came to a close at the end of July. For the coming year, Calgary-based CP Rail forecasts the total crop to move at more than 83 million metric tonnes, five per cent above the five-year average. CP Rail and the Montreal-based CN are outfitting their fleets with thousands of larger freight cars and track upgrades over the next four years. The improvements come amid legislation that imposes financial penalties on railways that fail to deliver promised rail cars for grain shipments on time. The extremely low temperatures in Western Canada last winter meant trains could take on fewer cars and carry less grain, a necessity related to locomotive air-brake systems.